Each year seems to find us in a different situation as we train for a big hike. Some years we have the luxury of training on hiking trails just minutes from our front door. Other years we have only paved roads nearby to walk on. Some years we have several months before a hike to devote to physical preparation….and other years we have other commitments which greatly reduce our physical training. Over time, we have developed our own set of training guidelines for a long hike which we strive to follow. We believe these guidelines will put us in the best physical shape for enjoying our long hikes. We try to get out walking at least five times a week. When we are really in the groove, we may be able to get out every day, but our minimum is at least five days. This helps to ensure that we can really get a lot of miles under our belts before even stepping foot on a big trail. Hiking a long trail has your legs working day after day, so getting them into the routine ahead of time is helpful. Making your hiking preparation part of your daily routine is probably one of the best ways to make sure it happens, rather than leaving it to big mile days on weekends. If you need to, make the ‘accumulation’ of prep miles a game – make a spreadsheet if it helps. Blue skies, Big Mountains and Lake Views…Training hikes don’t get better than this. Since our off-trail life is nomadic, we are often staying in different locations each year as we prepare for the hiking season. If we are staying in a place with great mountain/hill hiking, we try to focus on gaining elevation each day. The climbs can help build our lung and muscular capacity as well as stamina over time. If, however, we are staying in a place where hiking trails (that have elevation) aren’t really an option, then we focus on increasing the miles. Eight miles on gently rolling roads becomes our substitute for four miles of steep hiking trails. A lot of our winters over the past five years have been spent in Mexico. One bonus of the town where we stay is the cobblestone streets. The uneven surface of the roads is great training for our ankles and helps to strengthen them. 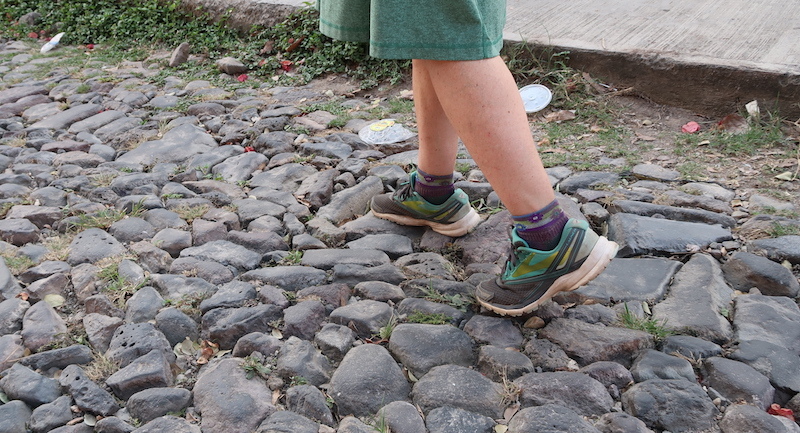 Since most folks reading this probably don’t have access to cobblestone streets, it seems that walking jeep trails or dirt/gravel roads would be helpful as well. The point is to get used to walking on uneven ground since that is what most trails have. Walking on uneven surfaces can help to strengthen your ankles. When possible, we try to do one hike a week which is at least 10 miles. We find that these longer hikes help to prepare our feet for the increased use they will endure on the trail. Walking all day is just plain hard on a person’s feet. Therefore, the more our feet get used to long distances, the less they hurt on the big trails. CLOTHES – Most folks who are hiking a long distance trail only carry one set of clothes. That means that you will be wearing the same clothes all-day every-day for weeks or months. You want to make sure that the clothes you are planning to hike in are actually comfortable and work with your pack. Before doing our first long hike (Appalachian Trail in 2011), I would only wear tank tops when hiking…shirts with sleeves never felt comfortable to me. 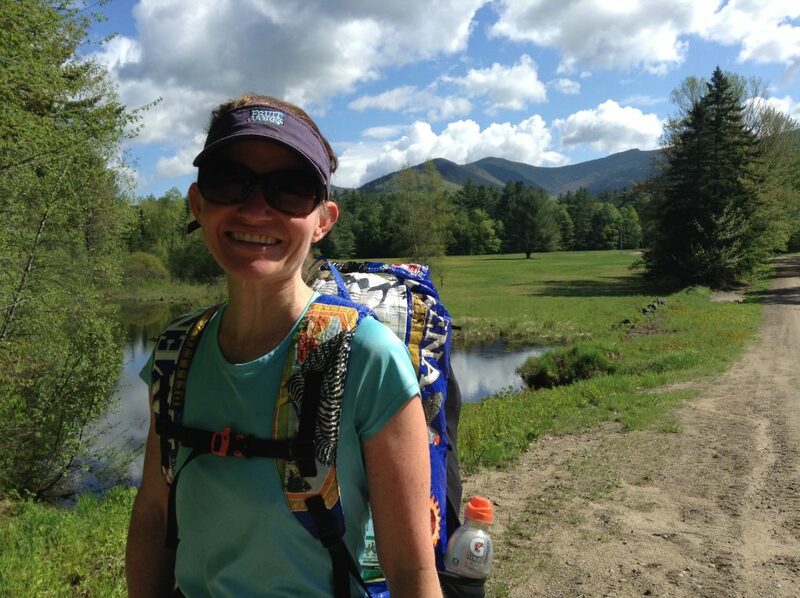 However, once I got the pack I used on the trail (a used Gossamer Gear Miniposa) and tried it on a training hike, I knew immediately that a tank top was not going to work. The shoulder straps on the pack had a section of velcro on the side (to allow people to pull out the foam pad and stuff in socks or whatever), which really rubbed my neck. I knew that I needed to get a collared shirt in order to be able to hike comfortably with that pack. I never would have even realized the problem if I hadn’t done some practice hikes with my clothes and gear before starting the trail. Big climbs mean great views from the top. SHOES – While training, it is highly recommended to wear the footwear that you will be using on the trail. This kind of seems obvious, but it still should not be overlooked. During training, you are essentially testing out your shoes to make sure they work for you (fit, comfort, etc..). You don’t necessarily need to wear these shoes for all of your training walks, but you should get a decent number of miles with them. After a pair of shoes wore out on the AZT in 2015, Beardoh picked up a pair of Altra Olympus shoes (a shoe brand that we had no experience with at that time). These shoes simply did not work for him and the shoes rubbed the top of his feet raw. PACK – While we don’t always do our training walks with our packs on, we do try to get out several times with a full pack. A benefit of walking with a pack is to help our bodies and our feet get used to the extra weight we will be carrying. Additionally, we get a feel for our packs in case we decide any tweaks are needed. Training with the extra weight can also influence the gear choices we make. If a pack feels too heavy on a training walk, chances are that it will feel too heavy when on a long trail. Walking on dirt roads with the White Mountains as our backdrop. We have been able to tailor our training to our circumstances each year, regardless of locale and situation. In my experience, the idea of a “perfect” training scenario often doesn’t exist. We have trained in a variety of settings and never felt disadvantaged because of our location. 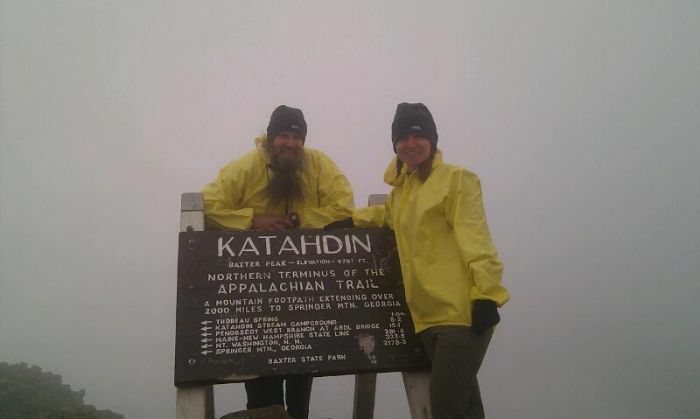 Before starting the AT in 2011, we were able to log over 350 miles in the two months prior to starting. Our situation at the time allowed us to combine hiking some steep trails with a good amount of walking on dirt roads. When we were training for the PCT in 2016, we were staying in an area where “elevation” training was not an option. Instead of hiking trails in the mountains, our walking options were mostly rolling country roads, with a few ATV trails thrown in. In 2015, as we were preparing for the AZT, we were able to take advantage of the fact that we were living in the perfect situation for physical preparation. We were living at 5,000 feet of elevation and could easily hike up steep trails to 8,000 feet. We had the ideal situation of high elevation hiking on trails which were really challenging. The loose gravel on the steep trails was good experience for some of the difficult sections of the southern AZT. Being used to living and hiking at elevation was really helpful as we started the hike and found ourselves climbing to around 9,000 feet on the first day. Out on a training hike with a full pack. 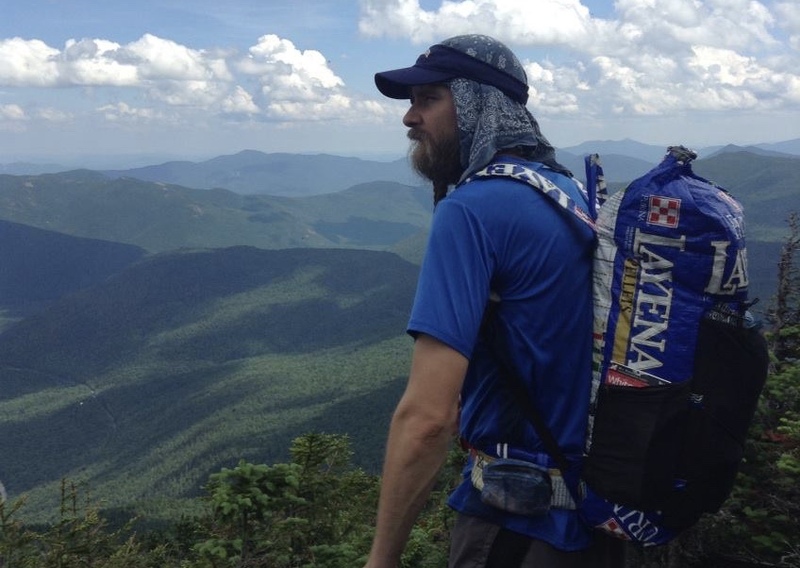 Should you have an overall mileage goal for your hiking? Probably, if it motivates you to get out on a regular basis. We are usually aiming for a total between 200 and 250 miles of walking/hiking within 6 weeks to 2 months of a hike. This breaks down to 25+ miles/week when prepping during the course of 2 months. 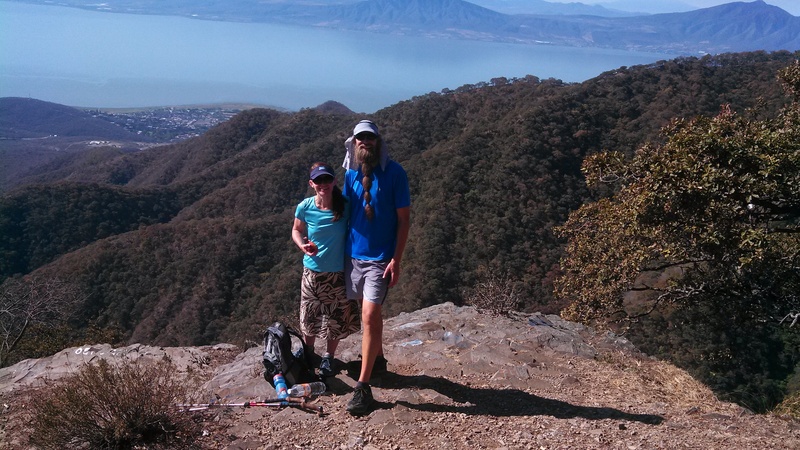 Regardless of the length of the thru hike we are preparing for, we try to follow the above guideline whenever we can – be it for a short hike like the John Muir or Tahoe Rim Trails or for something much longer like the Appalachian or Pacific Crest Trails. Generally, the beginning of a long hike is when the most aches and pains will present themselves….and every trail has a beginning, regardless of length. If you find logging the miles during your prep time monotonous or tedious, that may be an indication to how you will feel on a long distance thru hike. Granted, the scenery will most likely be more spectacular and enjoyable than the places that many hikers train, but the core of the thru hiking experience is walking all day, which may not be for everyone. Beginning the AT with lots of training time under our belts helped to make it a smooth start. 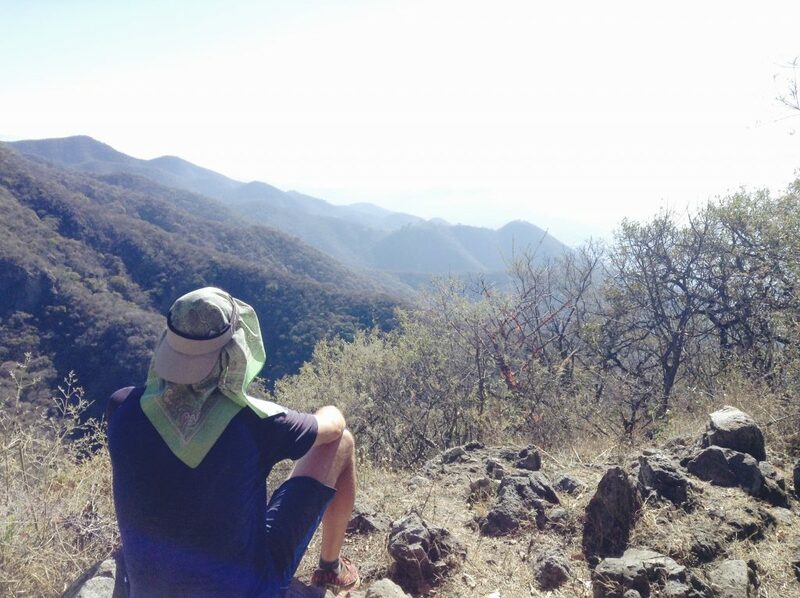 The whole point of training is to prepare your body for the challenge of hiking a big trail. Dealing with the pain of sore muscles, blistered feet, and and a generally unhappy body can take the joy out of hiking. For us, and presumably, for most hikers, the experience of being outdoors, living life at a walking pace, and enjoying the scenery of remote places is what pushes us to hike. Being fit when we start a trail helps us to be able to focus on the things we love about hiking.